Phoenix Periodontist Blog | Arizona Periodontal Group - Page 10 of 13 - This is the blog of Arizona Periodontal Group discussing periodontics and a healthy mouth! Gum disease is an infection of the tissues surrounding and supporting your teeth. It is a disease that is usually painless, but is a major cause of tooth loss. It is also referred to as periodontal disease, and is caused by plaque (the sticky film of bacteria on your teeth). Periodontitis is when the supporting fibers and bone that keep your teeth in place, have been irreversibly damaged. Advanced periodontitis is when the bone and fibers supporting your teeth have been destroyed. As a result, your teeth will begin to loosen and shift. If aggressive treatment isn’t taken, your teeth may be damaged beyond repair. What are 5 signs of gum disease? 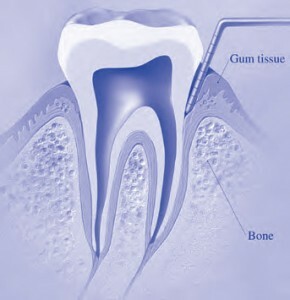 How does Dr. Trujillo treat gum disease? Prevention is the best method, which consists of regular cleanings and check-ups. 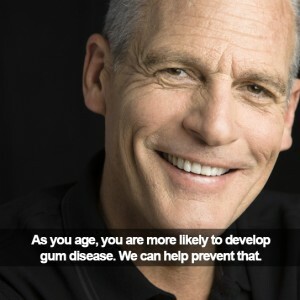 The earlier that gum disease is detected, the better the chances are that it will be treatable before it’s too serious. Some treatment options include: a professional cleaning, root planning, and more extreme treatments such as skin grafts and regenerations. But this is something to be discussed during your exam. If you are suffering from these symptoms, or someone else in your family is, please don’t hesitate to contact us. We’ll get you set up with an appointment with Dr. Trujillo to address all of your needs. If you are like most people, you probably don’t worry much about periodontal disease, however, gum disease affects about half of all adults in the United States. As soon as plaque and tartar take hold, gum disease might only be a few years away. Here are a few things you should know about gum disease, and how Dr. Trujillo can help you to correct long term damage. No Stitches: Unlike traditional gum surgery, which involves cutting into the gums, moving things around, and stitching up the area, LANAP is a stitch-free procedure. This means that you won’t have to worry about breaking incisions open, or visiting our office again to have stitches removed. No Bleeding: LANAP is performed using powerful, yet gentle, lasers. These lasers cauterize the area while they cut, which means that patients don’t have to deal with any bleeding. Less Infection Risk: LANAP lasers also disinfect while they cut, which reduces the chances of infection. Quicker Recovery Time: Because patients won’t have to worry about bleeding, stitches, or infections, recovery time is significantly less with LANAP over traditional gum surgery. Before your gum surgery, your periodontist will numb the area to minimize discomfort. After you are numb, the doctor will start working on your teeth and gums. LANAP surgery is typically performed in two separate two-hour sessions. The procedure takes a long time because your doctor will be carefully reattaching ligaments and dissecting away diseased tissue. Although it might sound intimidating, most patients report that the procedure is painless. If you think that you could benefit from laser assisted gum surgery, contact our office to make an appointment with Dr. Trujillo today. There’s a lot to know and remember when it comes to oral health. You have to understand and practice basic health habits such as brushing, flossing and taking regular trips to the dentist for cleanings and inspections. You have to know what kinds of foods can damage or stain your teeth, what kinds of foods can help them stay healthy, and how fluoride can help your teeth remain strong. You have to know what kinds of treatments are available for the various conditions that can develop and how to catch those conditions before they become serious. Fortunately, there are quite a few good resources out there to help you know everything you need to maintain good dental health. Including our own website, another good place for information as well as links to other informative sites is the Arizona Department of Health Services’ Oral Health page at http://www.azdhs.gov/phs/owch/oral-health/. There you can find tips on good preventive care and information on risks to infants’ and children’s health. The site also has facts about various dental programs, water fluoridation and the importance of dental health. Not only does this site have excellent information, but it also links to dozens of other sites that deal with more specific questions. There are also other websites which are dedicated to providing information about various aspects of dental health. 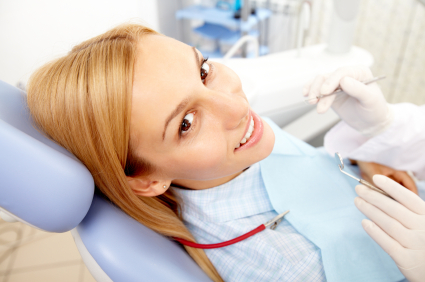 One of the best ways to get information on all aspects of dental health is to ask your dentist. Not only does Dr. Trujillo probably know all the information you can find about dental health issues elsewhere, but because he or she knows you and your medical history can give you answers specifically tailored to your needs. 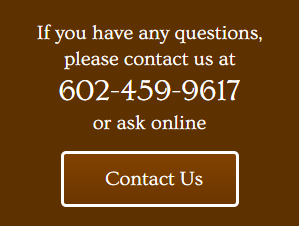 Our own Arizona Periodontal Group website has an information section that can help you recognize the signs of dental health problems and help you find solutions. Additionally, we provide good preventive care tips. If you want to ask Dr. Trujillo questions about hygiene, problems or treatments in person, contact us today for an appointment so that we can see to your personal needs.